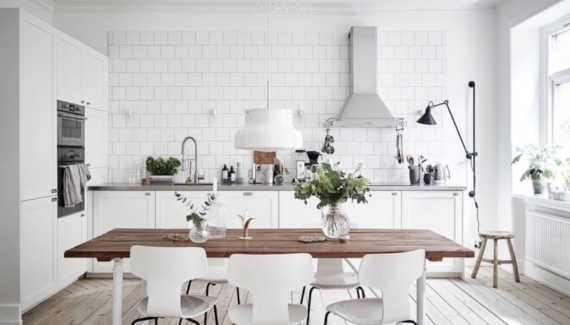 The all-white decoration has gone all the way in the simple and classy kitchen. Maybe it’s time to enter the dark side and achieve a sense of balance. 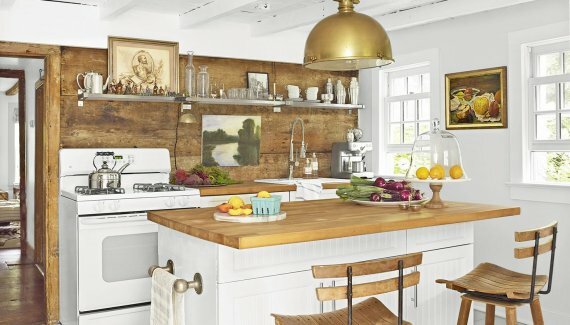 But if you’re not careful, an all-black kitchen decoration can be too overpowering. Thanks to its sophisticated and elegant quality, black kitchen designs are gaining popularity in modern decoration ideas. 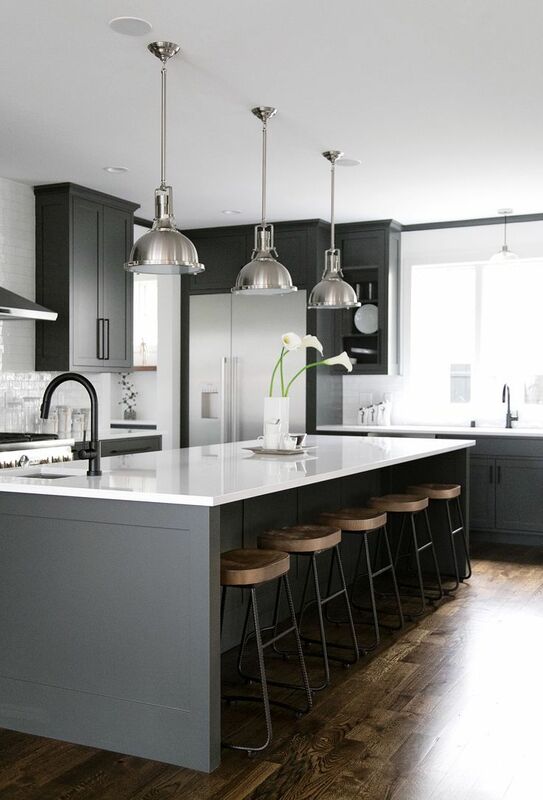 Whether you want to build a minimalist model, Scandinavian style, or industrial sketch, the black kitchen designs can go well with almost any room decoration. 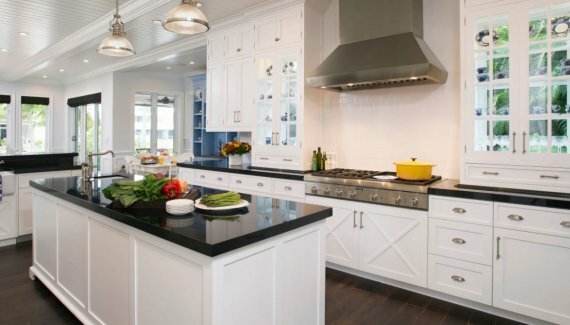 To create a highly functional kitchen with absolute beauty, follow these simple steps in designing black themed kitchen. 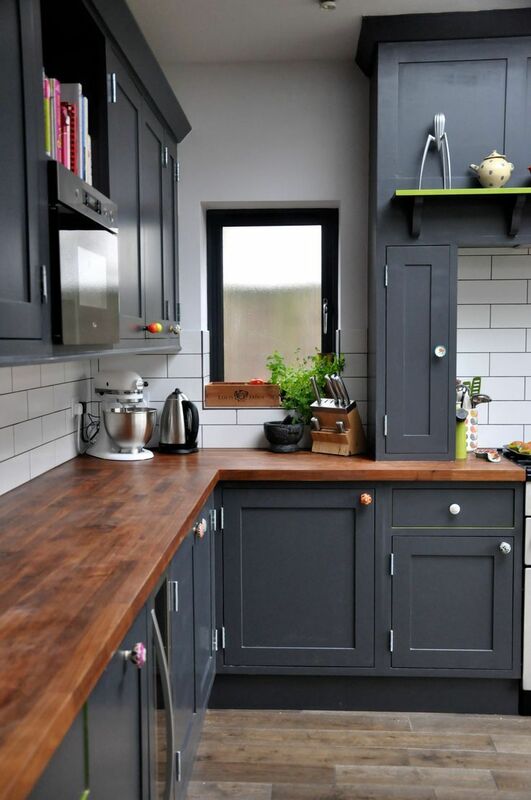 Despite going for all-black decoration, incorporating black kitchen island can complement your warm wooden cabinetry. You can choose whether the island will have a glossy or matte finish, but it works surprisingly nice as a decoration complement. The good thing about having black kitchen island is that you can hide the trails of fingerprints, spills, and stains. 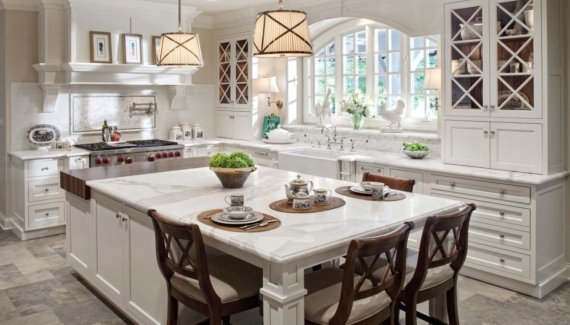 The matte-finished kitchen island is more of a traditional style. But if you want to get some extra illumination, choosing glossy kitchen island is more suitable. The gloss will reflect more light and creates a more vibrant feeling. I think the most important thing in having black kitchen designs is about creating balance. If you already have black drawers, island, and kitchen counter, maybe it’s time to add a little variation. The safest bet is by playing with different shades of black. On top of a black counter, you can add tile or marble countertop – maybe with the same color but softer hue. A single shelf with a mirrored door or upper cabinets mounted on the wall can go well with black kitchen designs. Try to combine the black element with steel to make it looks glossy and stylish. Black kitchen designs require excellent illumination. Be sure to install pendant lights, task lighting, and under-cabinet lighting when necessary to improve the visual attraction.